Nigerian oil minister Emmanuel Ibe Kachikwu. 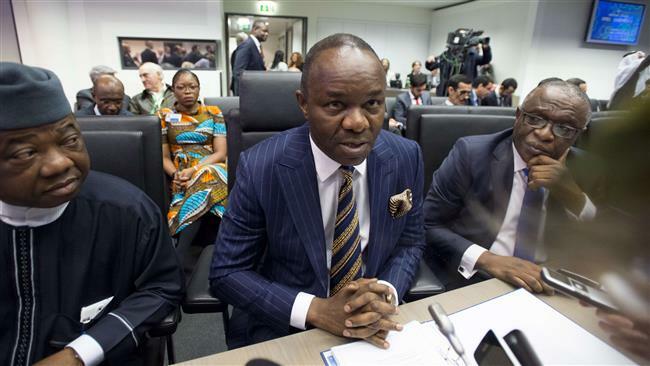 According to Nigeria’s oil minister, Emmanuel Kachikwu, two OPEC members have requested an emergency meeting prior to the next scheduled meeting in June as the slump in oil prices is starting to pressure producers, including Saudi Arabia, the world’s biggest exporter. It is expected that the 13 members of the Organization of Petroleum Exporting Countries will meet in early March, Kachikwu said in an interview in Abu Dhabi on Tuesday. The minister said members are already discussing with some non-OPEC producers, including Russia, linking future production cuts allowing prices to rise. Benchmark Brent crude oil futures were trading below $31 per barrel on Tuesday, a stark contrast from their highs of over $100 per barrel in 2014. Today prices hit their lowest level since April 2004. Kachikwu said: “We are definitely looking at a time frame in very early March. You will very necessarily have to have an OPEC meeting” because the group first has to meet and decide on its position before having formal meetings with other producers to coordinate a cut, he added. When asked which countries had requested holding an emergency meeting he said “a couple of countries, I don’t want to mention names.” He made it clear that no OPEC members, including Saudi Arabia, are happy with the crash in prices after the group’s last meeting in December. After the committee was unable to draw a consensus at the December meeting most ministers expected oil prices to fall, Kachikwu said. High-cost shale oil producers are demonstrating resilience to the current prices and “are becoming a constant equation in the oil dynamics,” he said. “I certainly hope that it doesn’t go below $30 for the sake and survival of everybody” Kachikwu said. “My perception is that we will see it get worse before it gets better.” Oil is forecasted to end the year at $40 to $50 a barrel, he added.